Sending items abroad this Christmas? Then it’s worth knowing that many Royal Mail last posting dates fall in November. For example, if you want your parcels to be under the tree by Christmas Eve in Cyprus, Eastern Europe, Greece, Iceland, Malta and Turkey, Thursday 3rd November is the latest recommended posting date if you’re sending via International Economy (which used to be known as Surface Mail). And if you’re posting to Western Europe, the last recommended date is Thursday 17th November. 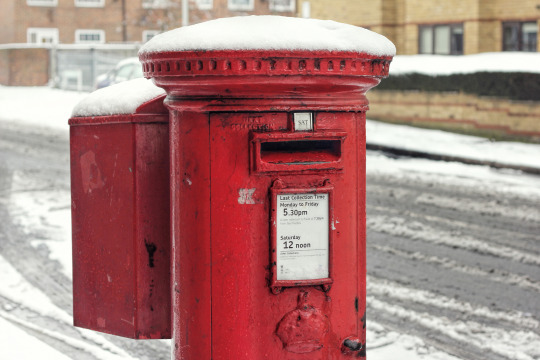 You can extend those last posting dates using Royal Mail’s International Standard, International Tracking, Signature and Air Lift services (find out more here). But if it simply has to be there and you can’t make those dates, remember that Mail Boxes Etc. is here to help. Whatever it is, and wherever it’s going, if it has to be there by Christmas our priority shipping services will save the day. For most international destinations, including the US, Canada, the Far East and Australasia, we can courier your parcels and packages right up to 18th December. And for Europe and the UK, you can drop off your items to your local MBE store right up to 23rd December.